I've always found Lent to be a meaningful season on the church calendar. Truth be told, I like it better than Advent, because Advent is accompanied by a confusing cultural celebration. Lent is largely untouched by consumerism and thus I find it easier to focus on what matters. Lent spans the 40 days (minus Sundays) before Easter, a time of preparation for re-living the events of the cross and ultimately the world-changing victory of the empty tomb. It is a quiet season of repentance, reflection, and self-examination. It is the pianissimo to Easter's fortissimo. Most of you know that it is common, especially among Catholics and increasingly among Protestants, to give up something during Lent, especially something that feels like a genuine (though minor) sacrifice. This mirrors the 40 days that Jesus spent in the wilderness fasting, being tempted by the devil and holding fast to God. There is nothing meritorious about this practice of minor sacrifice; it is a way of declaring, as Jesus did, that we live by the word of God alone. It is also a prayer that God would free us from the things that have power over us and that tempt us to worship something other than God. And, even more practically, it is a reminder to pray and re-orient our minds towards God every time we feel the absence of that particular thing. This year I have decided to forego social media - i.e. Twitter and Facebook - during Lent. 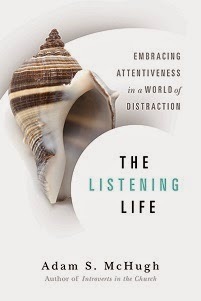 I should say that I deeply appreciate the relationships I have built through those media; people I have met have become friends, encouragers, and wonderful advocates of my book. But at the same time I continue to find social media to be very disintegrating. Short bursts of disparate information leave my introverted brain disoriented and scattered, and I find that I have a hard time focusing on one project at a time now. 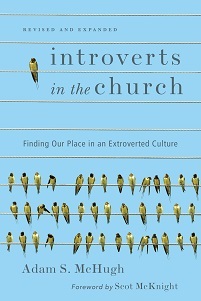 One of the great gifts I believe introverts bring to the church is a longing for depth - intellectual, spiritual, relational - and there is something about social media, and my experience with it - that seems to distract me from the depth that I desire. So this Lent I'm turning off Twitter, and going deeper.